Although Georgia currently belongs to HIV/AIDS low prevalence countries, by experts’ consideration, unless urgent measures are undertaken immediately, the rapid spread of HIV/AIDS is expected in Georgia in close future. 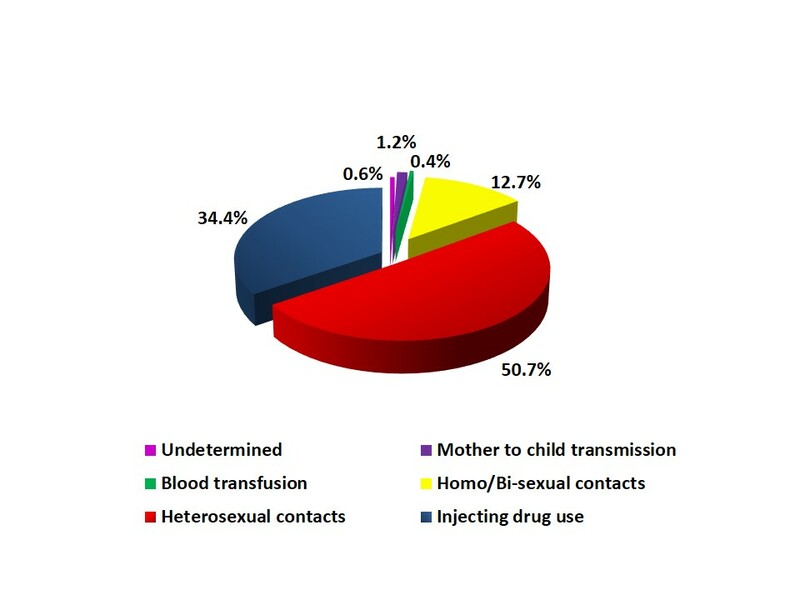 The registered number of HIV/AIDS cases does not reflect the actual spread of the infection in Georgia. The estimated number of people living with HIV/AIDS is around 10 500. Several years ago foreign experts were warning, that according country factors Georgia was threatened by serious epidemic, that would be connected with epid-situation in Russia and Ukraine, where during the year the number of HIV new cases had been increased twice and more. The experts suggestion was not only based on epidsituation of neighbor countries, suggestion was also related to many factors within country. 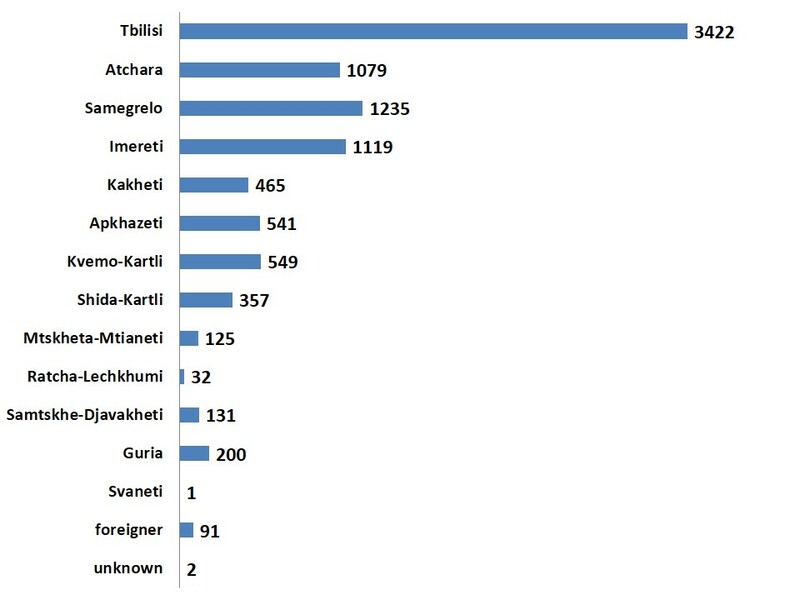 Very law level of knowledge about HIV/AIDS in Georgian population. The first HIV/AIDS case in Georgia was detected in 1989.
including 5672 men and 1897 women. The majority of patients are within the age group of 29-40. 4007 patients developed AIDS. 1540 patients have died. AIDS cases are registered in all countries of the world. UNAIDS and WHO estimates that the number of people living with HIV worldwide continued to grow in 2008, reaching an estimated 33.4 million [31.1 million–35.8 million]. The total number of people living with the virus in 2008 was more than 20% higher than the number in 2000, and the prevalence was roughly threefold higher than in 1990. The majority of patients are within the age group of 25-40. At the beginning of the epidemic the number of infected man was much more than women, but nowadays situation has changed and HIV infected women are half of people living with HIV. Sub-Saharan Africa remains the region most heavily affected by HIV. In 2008, sub-Saharan Africa accounted for 67% of HIV infections worldwide, 68% of new HIV infections among adults and 91% of new HIV infections among children. The region also accounted for 72% of the world's AIDS-related deaths in 2008. 12 million children have lost one or both parents due to AIDS in sub-Saharan Africa. The continuing rise in the population of people living with HIV reflects the combined effects of continued high rates of new HIV infections and the beneficial impact of antiretroviral therapy. As of December 2008, approximately 4 million people in low- and middle-income countries were receiving antiretroviral therapy—a 10-fold increase over five years (World Health Organization, United Nations Children's Fund, UNAIDS, 2009). In 2008, an estimated 2.7 million [2.4 million–3.0 million] new HIV infections occurred. It is estimated that 2 million [1.7 million–2.4 million] deaths due to AIDS-related illnesses occurred worldwide in 2008. 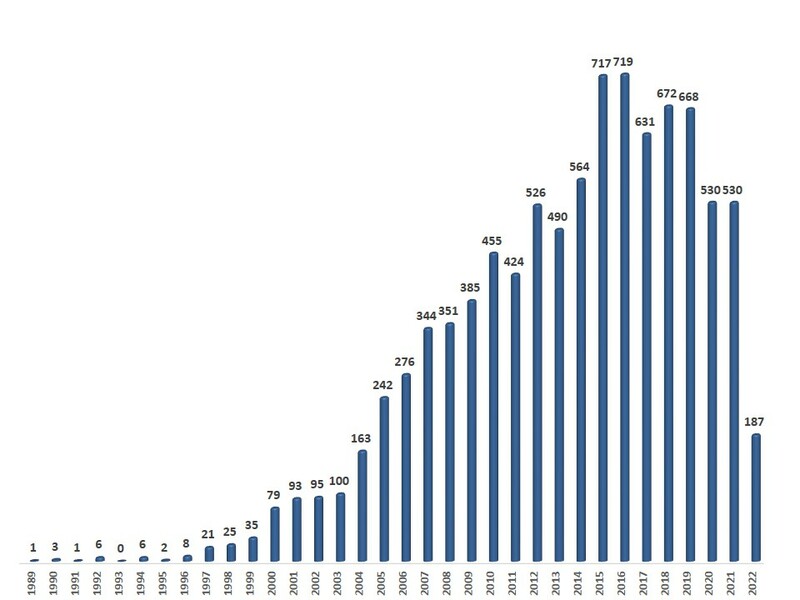 The latest epidemiological data indicate that globally the spread of HIV appears to have peaked in 1996, when 3.5 million [3.2 million–3.8 million] new HIV infections occurred. In 2008, the estimated number of new HIV infections was approximately 30% lower than at the epidemic's peak 12 years earlier. Consistent with the long interval between HIV sero conversion and symptomatic disease, annual HIV-related mortality appears to have peaked in 2004, when 2.2 million [1.9 million–2.6 million] deaths occurred. The estimated number of AIDS related deaths in 2008 is roughly 10% lower than in 2004.